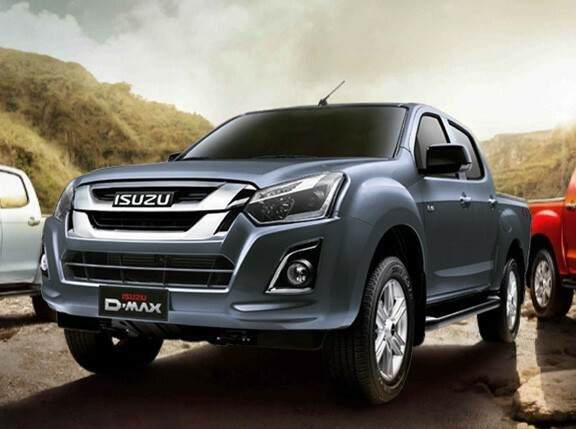 The tough and fuel efficient D-Max gets even better. It now features a redesigned exterior with a new hood and grille which are flanked by new projector headlamps with LED daytime running lamps. At the rear is a new tailgate with an integrated spoiler. The refreshed 3.0-liter D-Max variants come standard with electronic stability control, traction control system, and hill start assist. A reverse camera is also standard as well. It also gets an 8-inch touchscreen infotainment system with text-to-speech navigation capability. Higher-end variants are powered by the upgraded Euro 4-compliant Blue Power 3.0-liter VGS turbo oil-burner which makes 175hp and 380Nm of torque. Sitting below the 3.0L mill is the new RZ4E 1.9-liter diesel unit which produces 148hp and 350Nm of torque. Buyers can choose between 4x2 and 4x4.